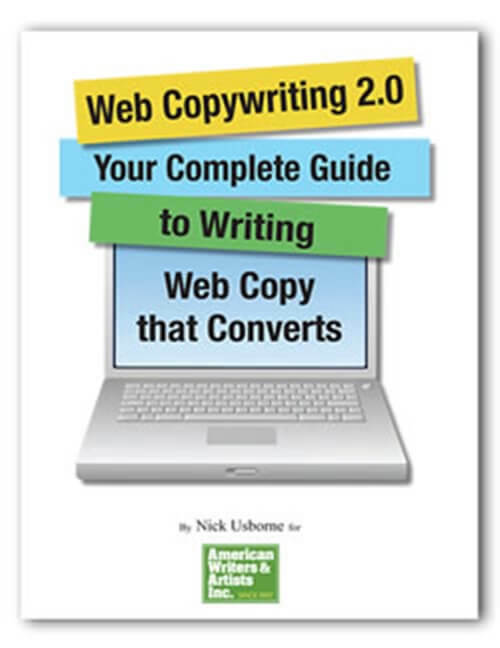 To make sure you’re prepared to cash in as an online copywriter, AWAI has teamed up with web copywriting expert Nick Usborne to create Copywriting 2.0: Your Complete Guide to Writing Web Copy that Converts. In this program, Nick shows you how to dramatically improve any web page, email campaign, or e-newsletter. In four clearly-written sections, Nick breaks down what it takes to write copy on the web that will drive traffic, grab attention, and yield conversions. That all adds up to bigger success for your client and more money in your pocket. Section 1 focuses on what it takes to be a successful online copywriter, as well as on the nuts and bolts of good web copywriting. This section gives you a solid foundation for becoming an in-demand, highly paid online copywriter. Section 2 is where you learn Nick’s proven strategies for creating web pages that sell. Master this section, and get ready to command fees of $1,500, $2,000, even $3,000 . just for writing a single 500-750 word Web page! Section 3 shows you how to earn even more money by writing materials your clients are going to keep on needing . the emails, e-newsletters, and blogs that help them stay in touch with their customers and prospects. With ongoing assignments like these from just a handful of clients, getting to six figures can be a snap. Section 4 gives you Nick’s “million-dollar” tips, techniques, and insights for writing blockbuster web copy. This is the stuff Fortune 500s are looking for when they hire Nick-and now you’ll be able to deliver it, too.